I love Asian food. I love the bold flavours, the art of balancing tastes and textures and the fact that many Asian dishes can be cooked in a flash with just a wok. When I can’t think of anything else to cook, I reach for my wok to cook up some chicken with Thai basil and top with a fried egg. Or I rustle up a quick beef and broccoli stir fry. For colder weather there’s pho to warm you up. Gua bao is always a hit at dinner parties. Neil Perry thinks that mastering Asian flavours will help you be a better Western cook – and I have to agree. Asian sauces can also take classic Western dishes to another level. Black Star Pastry’s Christopher Thé advocates adding a dash of fish sauce to a classic prawn linguini. “I was about 21, working at L’otel in Darlinghurst and they made a classic Italian spaghetti with prawns, garlic, olive oil and chilli,” he says. “At the end, they put in a dash of fish sauce. “Boom, magic!” It makes it huge in the mouth: it brings that bigness, tanginess, the umami. Having just moved back from Sri Lanka, I’ve had to restock my pantry from scratch. It’s really made me think about what’s essential in my Asian pantry – the most valuable players, if you will. Each person’s Asian kitchen is tailored to the regions that they favour most within this very delicious continent. 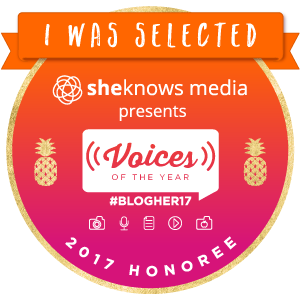 Mine are Malaysian, Thai and Vietnamese focused, and are usually lacking in Japanese staples – which I buy as I need for a recipe. I find that I can whip up many delicious stir fries, salad dressings and braises with the sauces below. Having moved internationally two times in four years, these are the items that I make sure to have in my pantry every time we move into a new house. 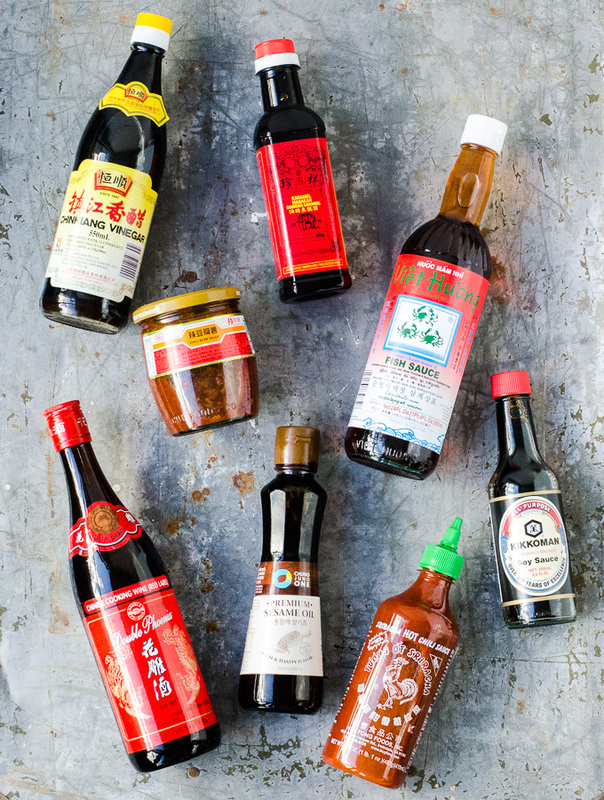 It helps to think of the Asian pantry much like a Western one – it can be divided into sauces, vinegars and oils.I remember how expensive it can be to restock everything at once, so I’ve listed these in order from my most to least used. The cornerstone of the Asian kitchen. Made from fermented soy beans, it is a staple in Chinese and Japanese cooking. Light soy can be used for most things; add to fried rice, stir fries or to make dipping sauces. Dark soy is richer and often used for braising. 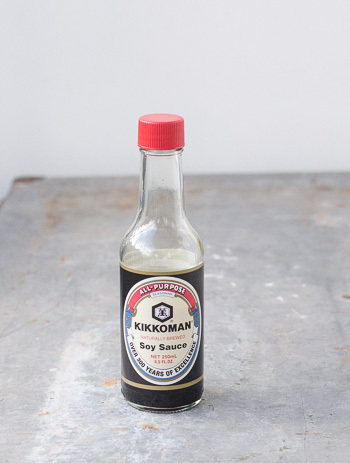 I have always used Kikkoman, though many small-batch and gourmet brands are now available. The salt levels vary widely between different brands, so it’s a good idea to practice salting Asian food at the end of cooking. Most soy sauces are naturally gluten-free. Very versatile and a great source of umami. Made by fermenting fish in sea salt, it is a staple in Thai and Vietnamese cooking. In Thai cuisine, it adds a delicious saltiness to balance out sweet flavours. Also useful for making nuoc cham, the quintessential Vietnamese dipping sauce that’s used for everything from bun bo xao to dipping rice paper rolls. Three Crab brand is my preferred option when I can get it. Essential for weeknight stir-fries, master stocks and as an all purpose seasoning. Try it on a steak before grilling to make a Thai-style beef salad. Vegetarian versions exist and are usually mushroom based. Skip the ready-made supermarket finishing sauces which are usually filled it with sugar and use this as a base instead. Don’t worry – it doesn’t have an overly fishy flavour, it is used to add savoury notes and depth to sauces. My family has always used this brand, so I reach for it out of instinct. 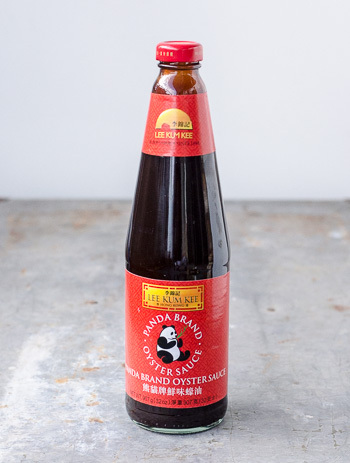 Be sure to look for varieties labelled ‘oyster sauce’ and not ones that say oyster flavoured sauce. An absolute staple in my kitchen, I use it instead of dark soy (which is more liquid) or kicap manis (which I find too sweet). The three are not the same thing, but are mostly interchangeable. This cooking caramel, which can also be called thick soy, adds colour and a smoky savouriness; I use it in braises and stir fries to add colour. A dash in roast chicken gravy can make it look and taste much richer. Can be hard to find so I usually bring it from Malaysia, though it is becoming increasingly available at specialist Asian grocers. 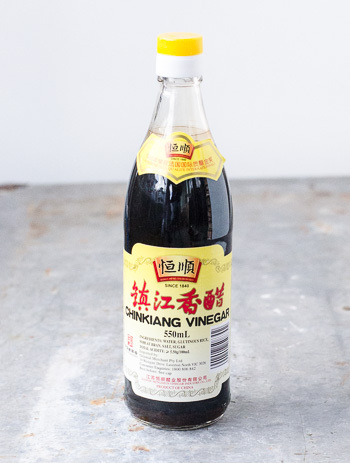 Chinkiang is a particular grade of black vinegar, named after the region it originated from (Zhen Jiang). It is the vinegar most often served with dumplings and at restaurants like Din Tai Fung. The most famous commercial brand is Gold Plum. 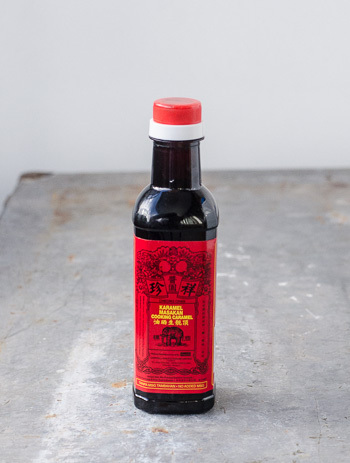 If you can’t get Chinkiang specifically, black vinegar will do, though it can sometimes taste a little harsher. 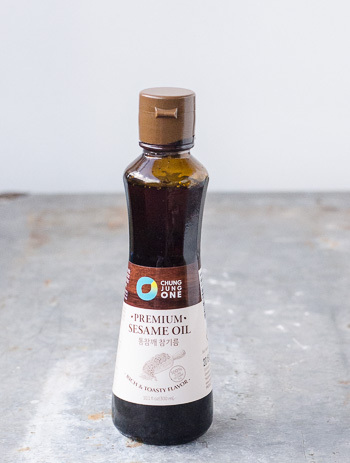 Its most common parallel in Western cooking is balsamic vinegar; similarly it can be used in Asian vinaigrettes. It adds acidity and balance to this gua bao recipe. A lighter vinegar used to add acidity. It tends to me mellower and less acidic than Western vinegars. 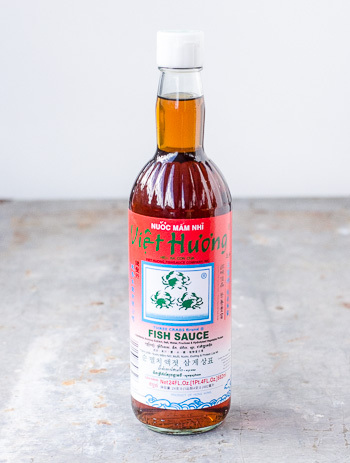 Essential paired with fish sauce in nuoc cham and bun bo xao. 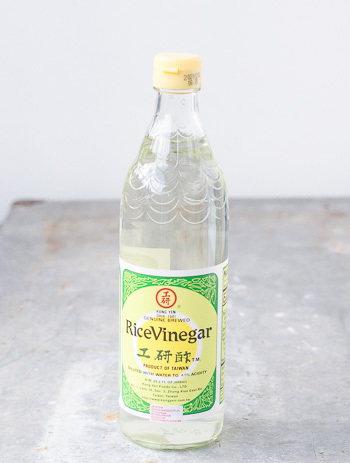 Rice wine vinegar is the Japanese parallel, not quite the same – it is even more mellow and subtle. 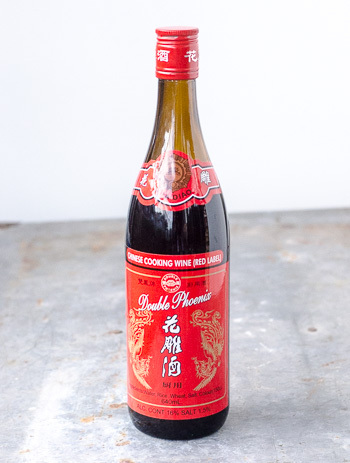 A Chinese cooking wine made from fermented glutinous rice. There are several types and grades, this is the one I use most often. Used in a similar way that Western cooking uses wine – in braises and to deglaze. Used in stir fries, soups, dipping sauces and salads. It is usually added at the end of cooking, or to dressings and dipping sauces. I now try to seek out Korean brands instead of the supermarket variety as I find them to be more fragrant. I usually have three of four varieties of these chilli pastes in my fridge. They not quite interchangeable, but it’s easy enough to get away with just one in your pantry. 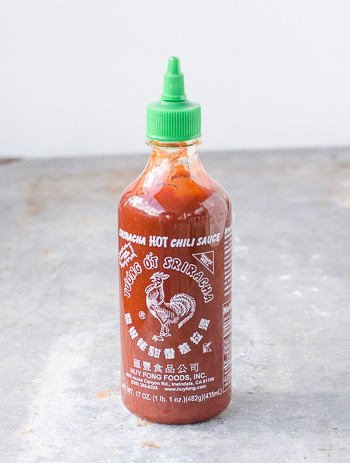 Surprisingly, Sriracha is American rather than Thai – look for the green pour spout and the rooster on the bottle. Made from fermented soy beans, there are several varieties – yellow bean (also referred to as taucu), black bean and chilli bean pastes, for instance. They add depth, flavour and body to dishes – think of black bean beef. These pastes are usually quite salty, so use sparingly and taste before salting the dish. 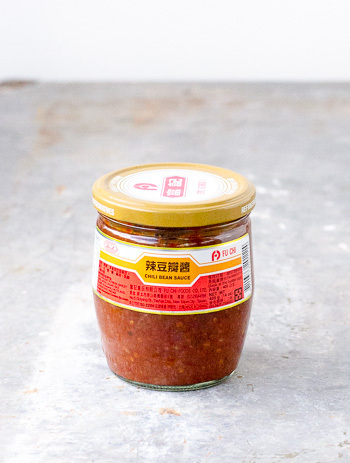 Other useful Asian pantry staples include miso paste, hoisin, mirin, gochujang (Korean chilli paste, which is rich rather than hot). 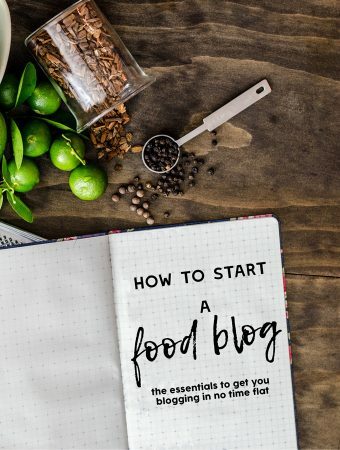 If you’re anything like me, the list could go on and on until you run out pantry space and end up with lots of halp used bottles in your cupboard. Try to cook with what you have – unless you are cooking a very specific regional dish, many Asian ingredients can be substituted for something similar that you might already have. Happy cooking!